Valentines Day in Whistler - Whistler Real Estate Ltd.
Valentines Day is a celebration of the special people in your life and what better way to commemorate the day than with a memorable experience. Whistler is a magical place, home to plenty of outdoor adventure, it is the perfect place to make meaningful memories with the people you care most about. 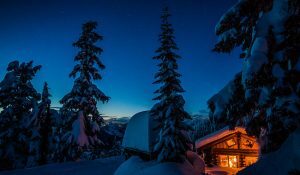 Whether you are spending the day with a special someone or getting together with friends and family, here are some of the most memorable ways to spend Valentines Day in Whistler. 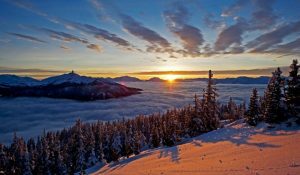 Watching a sunrise is always a magical experience however watching the sunrise over the Coat Mountain range as you enjoy breakfast high on Whistler mountain is second to none. Get your fresh tracks tickets and start your Valentines day off right, by being one of the first on the mountain. Take a leap together! 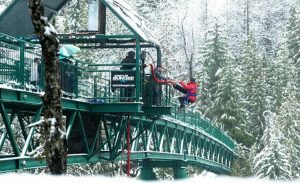 Bungee jumping in Whistler is an exhilarating experience to share with someone. Set with the backdrop of the Coast Mountain Range, this is a beautiful place to share such a heart-racing experience. Spend the day relaxing and recharging together at the award-winning Scandinave Spa. 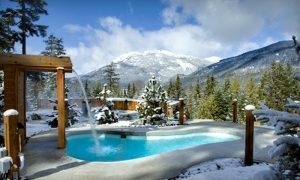 Escape the cold winter by soaking in a steamy hot spring bath as you take in the views of snow covered mountains. 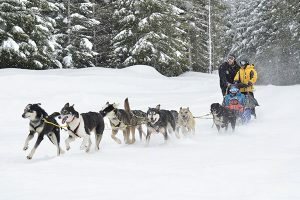 Head off on a romantic adventure through the Whistler wilderness with Whistler Dog Sledding. Cozy up with your loved one and experience the serenity of nature as you glide through the snow-covered valley. Led by an expert guide who will inform you about the incredible skills of his specially bred Arctic sled dogs. What better way to end the day than by riding 6000 ft up Blackcomb mountain on a snowmobile. Arriving at the enchanting Crystal Hut where you will enjoy a candlelit fondue dinner accompanied by fine wine. Take in the clear unobstructed view of the night sky from the deck while you live entertainment from local musicians. 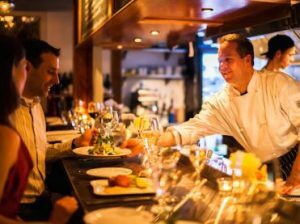 A Whistler Snowmobile Dining Tour is a truly extraordinary experience! 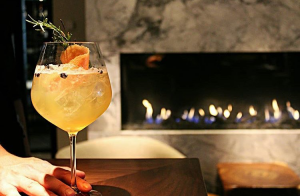 Cozy up and enjoy a hand-crafted cocktail by the fireplace in the lounge of Il Caminetto. The sleek and contemporary restaurant is the perfect location for a romantic dinner for two. Il Caminetto creates a spectacular Italian experience using the finest local and sustainable ingredients. As they say at Creekbread ‘Food Is Love’! So grab your loved one or loved ones and get down to Creekbread in Whistler Creekside this Valentine’s day. 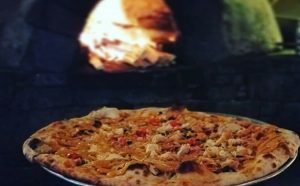 Relax and enjoy delicious pizza fresh from the wood-fired oven. Creekbread uses all organic and locally sourced (where possible) produce in their cuisine and the results are mouth-watering! A wonderfully intimate dining experience awaits you and yours at Red Door Bistro. The high-end French style restaurant was voted one of ‘Canada’s Top 10 Restaurants’. Share a really spectacular dining experience with someone this Valentines at Red Door Bistro.